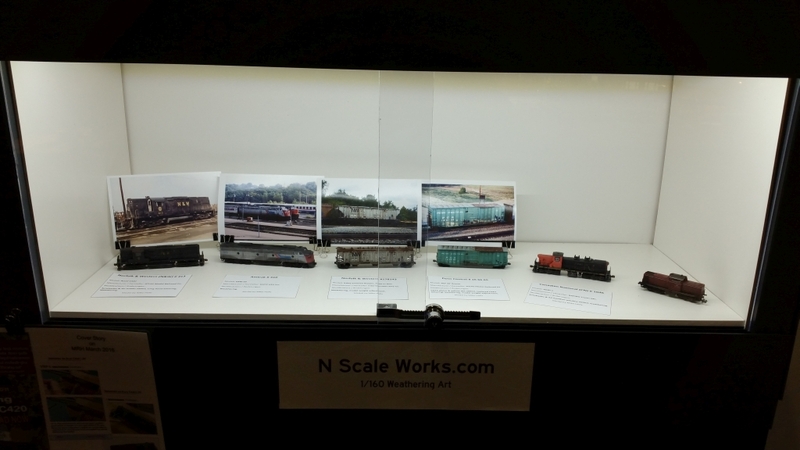 I attendet our large railroad exhibition at Cologne from 11/17 to 11/20 along with the NMRA European Region A.s.b.l. 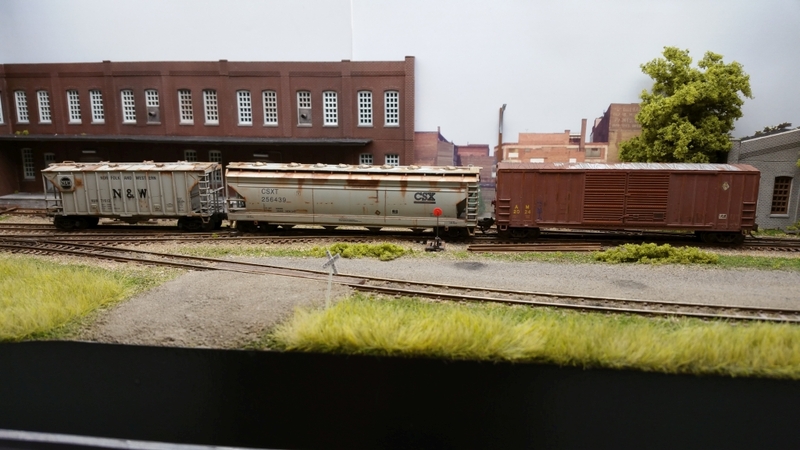 Beside some real good chat with visitors I was able to show some of my weathering work live at the show. 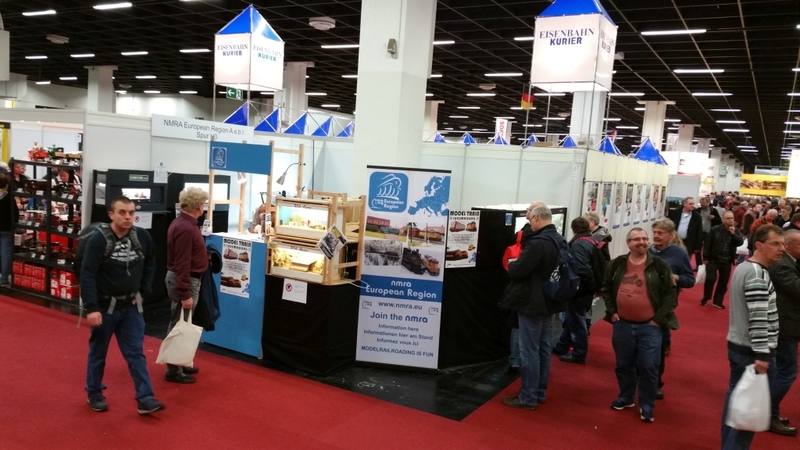 Our booth at the show. 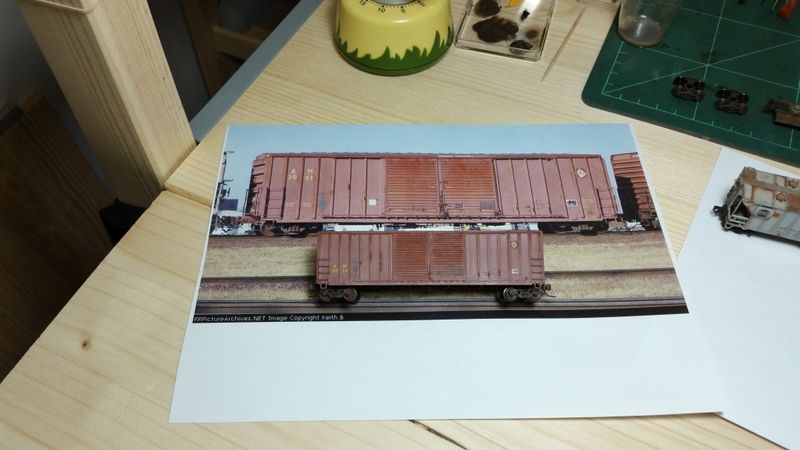 Besides my microlayout and workshop we had two more layouts on board. Alain Kap, MMR – “R.I.P. Car Shop” and Pit Karges – “First snow on the Highline”. My micro-layout more pictures can be found here. Some of my recent art?-work in a secured display. 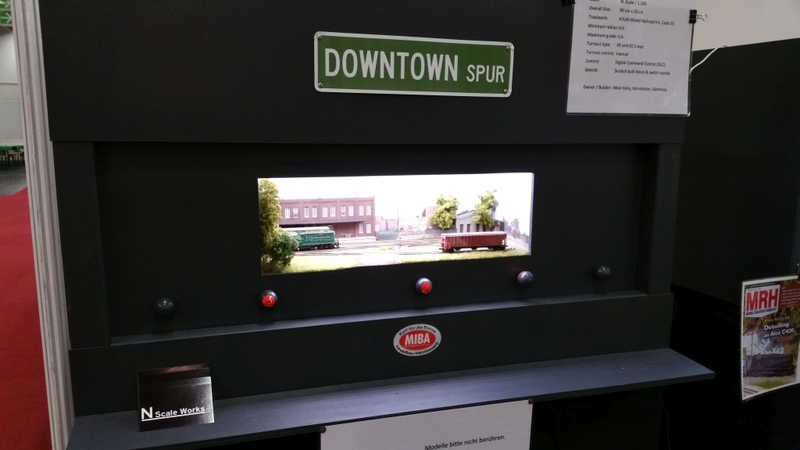 I finished off three cars during the show.